Energon, the lifeblood of Transformers robots, fuels the epic action on Earth and beyond. And in the Transformers: Bumblebee movie, it fuels an all-new adventure as Bumblebee embarks on a journey to unleash the power within. Now imagine the power of this vital energy source is in kids' hands with Energon Igniters figures. The vital energy source of the Autobots and Decepticons -- Energon -- gets a boost with the Energon Igniters core. When activated, the core's power propels the Autobots and Decepticons into high-powered action. 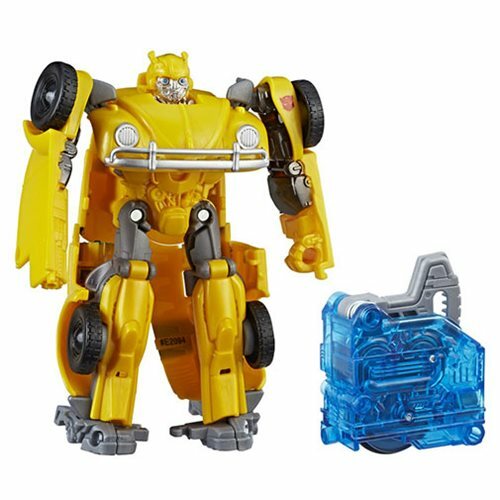 He might boogie down with the radio on, but when Decepticons attack, Bumblebee gets down to business. With the power of Energon in his systems, the upbeat bot amps up his engine power. He spends like a lightning bolt and stings like a bee, outpacing enemies with a high-powered burst of energy. Ages 6 and up.